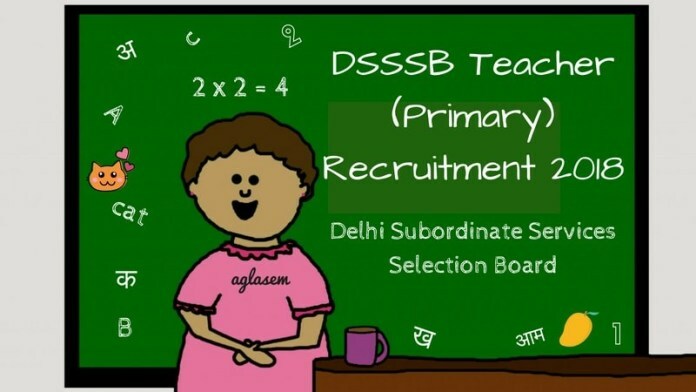 DSSSB Teacher (Primary) Recruitment 2018 – Delhi Subordinate Services Selection Board (DSSSB) has announced the final result of DSSSB Teacher (Primary) Recruitment 2018 at dsssb.delhigovt.in on March 29, 2019. Earlier the answer key was released on December 04, 2018 for the examination held from September 30, 2018, to October 13, 14 and 28, 2018. The candidates who have appeared in the examination are able to check the result now. On the basis of the final answer key, the result has been declared. Check here more details about DSSSB Teacher (Primary) Recruitment 2018 like eligibility, selection process, pay band etc. Latest: DSSSB has released the final result of Primary Teacher Recruitment. Click here to check the same. Although, all the dates regarding the exam conduction and releasing the admit card are given in the table, candidates can check the same form the below notice provided on the page. The candidates have to follow a proper dress code for the exam. The dress code details will be provided here shortly. As the examination is over now, the candidates who have appeared in the examination can check their result at dsssbonline.nic.in. The Board has uploaded the result on the website in the form of login. The candidates have to enter the key credentails like post name, application number, and roll number. The direct link to check the result is provided above on the website. DSSSB has released the Admit Card for DSSSB Teacher (Primary) 2018 for Batch-Iat dsssb.online.in. Aspirants who have filled the application form before or till the last date can download the admit card for the test. It is mandatory to carry the admit card in the examination hall. Because it is key to examination. If an aspirant will face difficulty in downloading the admit card then, he /she has to communicate to the board as soon as possible. By the way, DSSSB has released the admit card on the official website, but aspirants ease we will provide a direct link to the admit card here. Now check the examination scheme form the section below. DSSSB introduced 4366 vacancies in the Municipal Corporation of Delhi. Check post wise vacancy for Teacher (Primary) here. Now let’s move forward towards the most important point of recruitment i. e. eligibility for the Teacher. Nationality: If you are Indian, you can apply for the recruitment. Age Limit: For being a Teacher in MCD you should not exceed 30 years. Although age relaxation policy is also there, SC/ ST / OBC / Departmental Candidates/ ExSM /PH will get the age relaxation as per the orders issued by the Indian Govt. Age Relaxation for Contract Teacher of MCD: Those who are presently engaged in service and have served as a Contract Teacher Under North, South & East DMC for several years, will be entitled the age relaxation up to maximum 05 years. Board will count only those years which have 120 days service, for giving the age relaxation. Senior Secondary (10+2) or Intermediate or its equivalent. Or Bachelor of Elementary Education. Aspirants must have qualify Hindi subject in 10th class and English in 12th Class. Qualifying CTET is mandatory for this recruitment. DSSSB will release the Application FOrm on the official website. The eligible candidates have to apply in time. 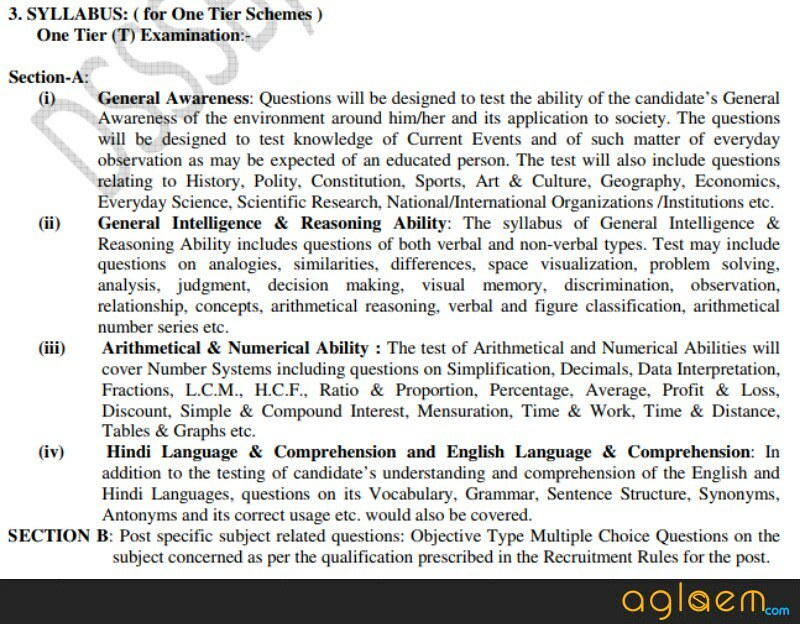 But before applying aspirants should check the eligibility criteria. It’s better not to apply if you are ineligible. DSSSB clearly mentioned that it will accept only online applications, otherwise it will reject the application form. For completing the applications aspirants have to pay the examination fee. Like application form, there is only one mode for submitting the examination/ application fee i. e. SBI Pay. Marking Scheme: 0.25 deduction of marks on each incorrect answer. After getting the knowledge of examination pattern aspirants should be aware of syllabus of the test. So we would like to introduce the scenario with help of this image. So through this picture, we can say that there will be two sections in the test, and paper will have the equal number of questions form each section. DSSSB set the syllabus for the test, and we would like to provide the detailed syllabus here. 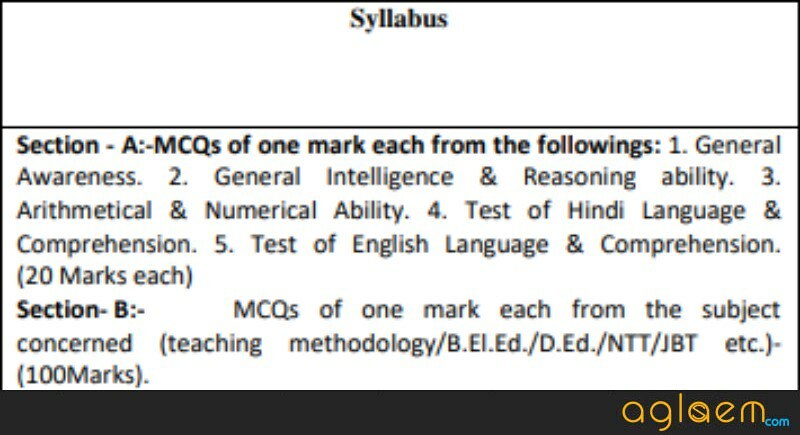 This was the detailed syllabus of the test. if you are preparing for the DSSSB Teacher (Primary) then you can refer the syllabus. As we all know, after conduction of the test, DSSSB will release the answer key for the test. 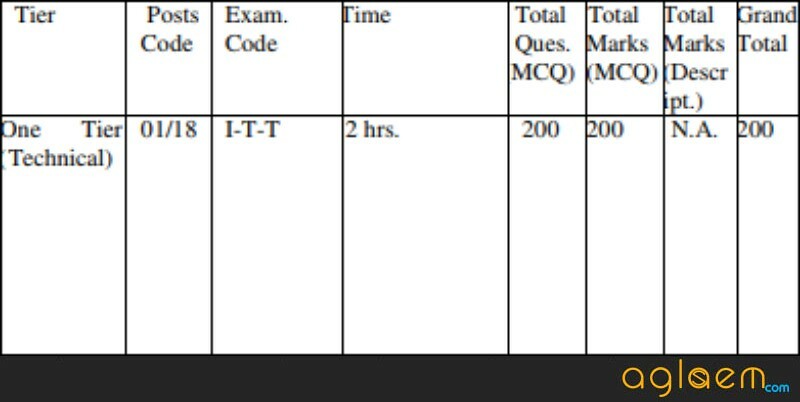 Even though on the examination day many coaching Institute also releases the answer key after few hours of the test. That answer key is unofficial. However, we will provide both official and unofficial both answer key here on this page. DSSSB will release the answer key on the official website at dsssbonline.nic.in, but the unofficial one will be released on different platforms like social media and youtube etc. The candidates who will appear for the test will able to check the answer key. With help of answer key, they can estimate their chance for selection. Even they can calculate their maks via marking scheme knowledge. But answer keys are not the final result. There may be a discrepancy in the answer key. So wait till the final result be out for the accurate result. DSSSB will conduct One Tier for the postcode as per examination scheme. This is the only one testing measure for the candidates. In order to get selected as a Teacher in MCD, the aspirants have to score well separately in both sections. In short an aspirant has to qualify both section A & B. But DSSSB will prepare the merit list by calculating the aggregate of marks of both the section A & B. Even Board reserved all the rights to alter cut off marks any time, that will totally be depended upon the vacancy and marks obtained by the candidate in the test. As it has been already discussed that same examination will be conducted on different days for the candidates who have applied for this recruitment. So for preparing the merit list, DSSSB will use normalization formula which has been given in the image. The ranking of the candidates will be calculated by using the Normalization formula only. DSSSB has decided the pay of the Primary Teacher in MCD as per the specified by govt rules. The basic pay of a Teacher will be Rs. 35400/- as per Revised pay Matrix. The salary Brak up of teacher is as follows Rs. 9300-34800. This was only the basic pay of Teacher. But monthly pay includes Grade pay as well which is Rs. 9300-34800 + Grade Pay 4200. For more details about the DSSSB Teacher (Primary) Recruitment 2018 download advertisement from here.